Back on Market due to Buyer financing issues.Motivated Seller just made significant price reduction. Well located 3 Family on corner lot in established neighborhood just off Forest Ave. Existing cement slab was for 2 car garage which no longer exists. All three units (1st & 2nd floors) are presently vacant. Wonderful opportunity. 152 Foster St, Brockton, MA 02301 is a 5 bedroom, 3 bathroom, 2,794 sqft multi-family built in 1900. This property is not currently available for sale. 152 Foster St was last sold on Apr 27, 2018 for $323,000 (8% lower than the asking price of $349,900). 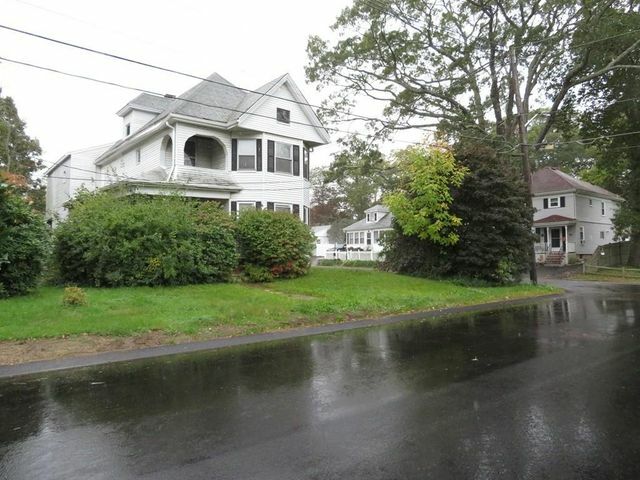 The current Trulia Estimate for 152 Foster St is $368,866.